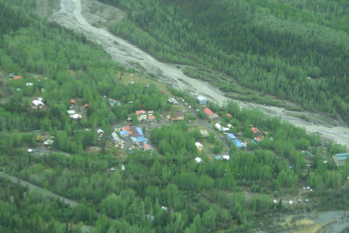 McCarthy and Kennecott, Alaska are two small communities nestled in the heart of the Wrangell-St. Elias National Park and are also the home of our great Alaska Adventure Tours. The two towns are 4 miles apart, with intricately intertwined histories and a current population of approximately 50 or so folks. This area has been home to St. Elias Alpine Guides for 35 years. At the turn of the last century, there were a lot of prospectors coming through Alaska and the Yukon looking for the next big gold strike, or just about any precious metal they could stake a claim on. In the year 1900, “Tarantula” Jack Smith and Clarence Warner were exploring along the edge of the Kennicott Glacier. Legend has it that they spied a large green meadow on the hillside, but upon further inspection it turned out to be an enormous outcrop of copper. The two prospectors sold their claim to Stephen Birch, a 28year old mining engineer from New York City. With patience, persistence and a few good connections, Birch eventually got the backing of men such as the Guggenheim brothers and J.P. Morgan. Together, they started what was to become the Kennecott Copper Corporation, one of the largest mining operations in the world, which still exists to this day. 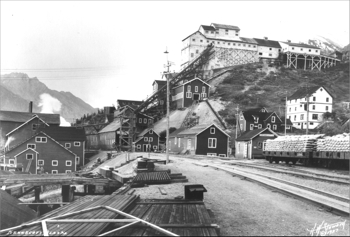 Over the course of Kennecott’s history, from approximately 1905 through 1938, the operation produced over 590,000 tons of copper and 9 million ounces of silver. The site was abandoned in 1938, and due to the high cost of transportation, most of the equipment used in the operation was left behind. 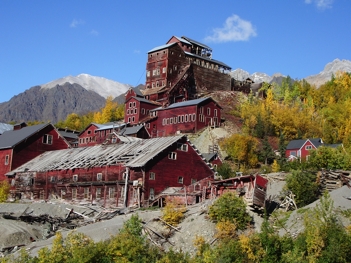 During this “copper boom”, the small town of Shushana Junction began expanding to meet the growing needs of Kennecott. This small town eventually changed its name to McCarthy, and became the site of the railroad turnaround station. McCarthy was quite a miners’ and railroaders’ town, with all the – ahem – “entertainment” a young man on the frontier might require. Restaurants, pool halls, hotels, saloons, a dress shop, shoe shop, garage, hardware store, and thriving red light district all popped up to provide services to more than 800 people in the area. We hope you’ll have a chance to explore this incredible area with us, whether it is a 2 hour tour of the historic Kennecott Copper Corporation town site, a trip out to the local glacier, a float down our favorite river, or a multi-day Alaska backpacking trip deep into the park – we’re always excited to share our passion for this awe-inspiring wilderness! 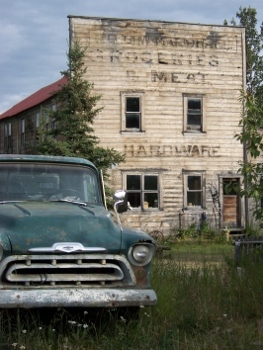 Want to explore Wrangell-St. Elias? Click below to check out a trip!